"The hand of the Lord was on me, and he brought me out by the Spirit of the Lord and set me in the middle of a valley; it was full of bones. He led me back and forth among them, and I saw a great many bones on the floor of the valley, bones that were very dry. ...So I prophesied as he commanded me, and breath entered them; they came to life and stood up on their feet—a vast army. ...and say to them, ‘This is what the Sovereign Lord says: I will take the Israelites out of the nations where they have gone. I will gather them from all around and bring them back into their own land. I will make them one nation in the land, on the mountains of Israel. There will be one king over all of them and they will never again be two nations or be divided into two kingdoms.' "
One of the encouraging portions of Ezekiel’s book are his words of hope for Israel and their restoration in the distant future. This restoration seems to be speaking of something greater than the return from Babylonian exile in 539 BC. Ezekiel’s words must be read and studied carefully while comparing the text to other portions of scripture and historical events that have already transpired. In this apocalyptic vision of the dry bones recorded in Ezekiel 37 the Lord leads Ezekiel through a valley full of dry bones while asking Ezekiel questions and commanding him to prophecy the words the Lord gives him. Each time Ezekiel speaks the words he is commanded the condition of the bones changes and the climate of the valley improves. Then, through Ezekiel’s pronouncement of the Lord’s word, these bones lived again and became a great nation. A nation born again. I will speak God's Word and trust his character in situations today. I do not know what the sovereign Lord will do, but I know that whatever he does will honor his word and his character. 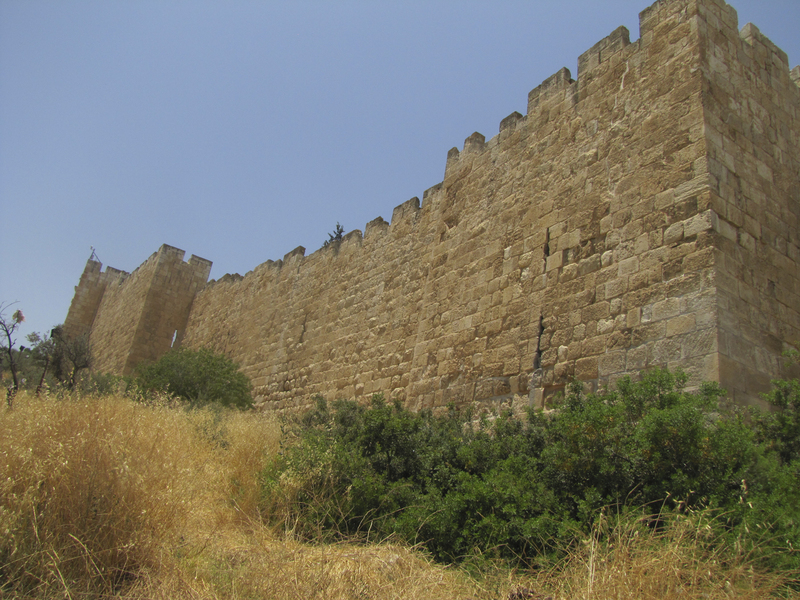 South wall and the Southeast corner (right side) of the Temple Mount. 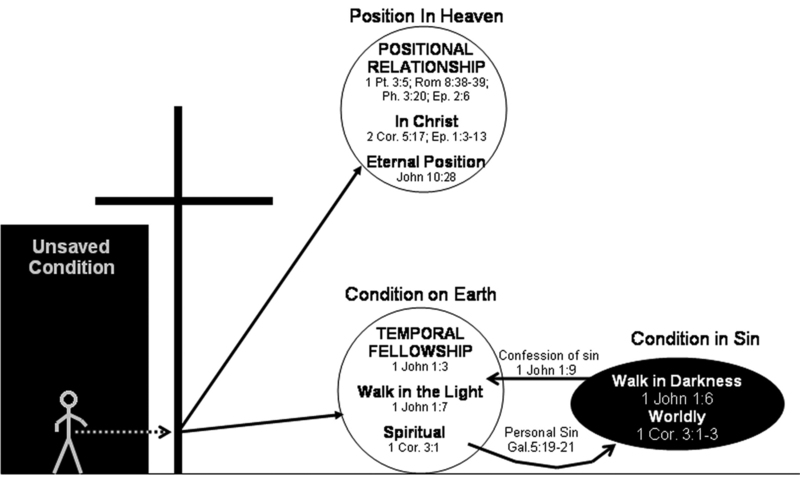 Diagram illustrating the believer's positional relationship with God and their temporal fellowship with God. Christianity is not based on Jesus’ teachings but on Jesus, who he is, the person of Christ, the Son of God. Salvation is not in the teachings of Jesus but in Jesus himself. and rich blessing will come on them." 11 The king’s edict granted the Jews in every city the right to assemble and protect themselves; to destroy, kill and annihilate the armed men of any nationality or province who might attack them and their women and children, and to plunder the property of their enemies. 12 The day appointed for the Jews to do this in all the provinces of King Xerxes was the thirteenth day of the twelfth month, the month of Adar. 13 A copy of the text of the edict was to be issued as law in every province and made known to the people of every nationality so that the Jews would be ready on that day to avenge themselves on their enemies. 6 By the ninth day of the fourth month the famine in the city had become so severe that there was no food for the people to eat. 7 Then the city wall was broken through, and the whole army fled. They left the city at night through the gate between the two walls near the king’s garden, though the Babylonians were surrounding the city. They fled toward the Arabah, 8 but the Babylonian army pursued King Zedekiah and overtook him in the plains of Jericho. All his soldiers were separated from him and scattered, 9 and he was captured. 12 On the tenth day of the fifth month, in the nineteenth year of Nebuchadnezzar king of Babylon, Nebuzaradan commander of the imperial guard, who served the king of Babylon, came to Jerusalem. 13 He set fire to the temple of the Lord, the royal palace and all the houses of Jerusalem. Every important building he burned down. 14 The whole Babylonian army, under the commander of the imperial guard, broke down all the walls around Jerusalem. 15 Nebuzaradan the commander of the guard carried into exile some of the poorest people and those who remained in the city, along with the rest of the craftsmen and those who had deserted to the king of Babylon. 16 But Nebuzaradan left behind the rest of the poorest people of the land to work the vineyards and fields. 20 The bronze from the two pillars, the Sea and the twelve bronze bulls under it, and the movable stands, which King Solomon had made for the temple of the Lord, was more than could be weighed. 21 Each pillar was eighteen cubits high and twelve cubits in circumference; each was four fingers thick, and hollow. 22 The bronze capital on top of one pillar was five cubits high and was decorated with a network and pomegranates of bronze all around. The other pillar, with its pomegranates, was similar. 23 There were ninety-six pomegranates on the sides; the total number of pomegranates above the surrounding network was a hundred.